Since CEO Satya Nadella took over in 2015, Microsoft (NASDAQ: MSFT) has made big strides in the cloud market, where it's currently sitting solidly in the No. 2 spot behind Amazon.com. The company also has successfully transitioned its Office software to a subscription service. Investors love it, as the stock price is up 97% over the last three years. There's just one area where Microsoft seems to be significantly underperforming, and that is gaming. The software giant trails Sony's (NYSE: SNE) installed base in the console market. And Microsoft's game streaming platform, Mixer, is way behind Amazon.com's Twitch and Alphabet's YouTube Gaming in viewership. Just as Microsoft came out of nowhere to be one of the world's top cloud providers, the pieces are in place for the company to make a bigger splash in the $138 billion video game industry over the next decade. Microsoft has acquired several game studios over the last few years, which could see Xbox make a significant comeback in the next console cycle. In November, Microsoft announced it was acquiring two new studios, Obsidian Entertainment and inXile Entertainment. These two additions follow five other studios that Microsoft bought in fiscal 2018 (which ends in June). The company now has 13 separate development teams working on new exclusive titles for Xbox. Owning exclusive, first-party games is crucial because it's the only way for competing game systems like Xbox and PlayStation to differentiate themselves. Most games are playable across multiple systems, but console makers need at least a handful of exclusive titles to convince gamers to play on their system. This is a key reason Sony's PlayStation 4 has outsold Xbox One by about two-to-one in the current console generation. Sony has done a better job producing high-quality titles that are only available on its console. It will take at least a few years for Microsoft to reap the rewards of the recent studio acquisitions, but they should bolster its exclusive game roster when the next-generation Xbox is released. Analysts expect Microsoft and Sony to launch new game systems as early as 2020. While winning the console war is important, it's not everything. Gaming is gradually transforming from a hardware dependent industry to a games-as-a-service model. Electronic Arts, one of the leading game makers, has already announced plans to launch its own Netflix-style game subscription service. Microsoft has also been moving in this direction with its Xbox Game Pass service, which allows Xbox owners to play a large selection of titles for a monthly fee. But the industry's future is in cloud gaming, where players can play any game on any platform (PC, mobile, or console). This means a gamer could potentially play Xbox exclusive titles without owning an Xbox console. Microsoft would be able to extend its reach beyond the 57 million monthly active users on Xbox and expand its moneymaking opportunity in the process. Gaming-as-a-service plays right into Microsoft's hands. 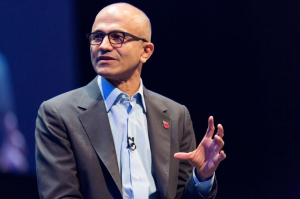 Nadella has already transitioned Microsoft's software business away from PC dependency to a subscription model by launching Office 365 and building Microsoft's Azure cloud service into the second largest cloud provider in the world. Consistent with the vision for the whole company, Nadella has started to move Microsoft's gaming business in the same direction. It is currently investing in cloud gaming with Project xCloud. The long-term vision is to allow gamers to play games on any device with high connection speeds and the same graphics fidelity they would experience on a PC or console. Microsoft plans to launch public trials in 2019. Microsoft has another asset in its Mixer game streaming platform. Amazon.com's Twitch and Alphabet's YouTube Gaming are the two leaders in this space, where people can watch others play games. It's estimated that the combined viewership on Twitch and YouTube Gaming is more than mainstream TV channels like ESPN and HBO. While Microsoft's Mixer trails Twitch and YouTube Gaming in active users, it is growing fast, along with the game streaming market. In the third quarter, Mixer's number of active live streamers grew 32% over the second quarter. 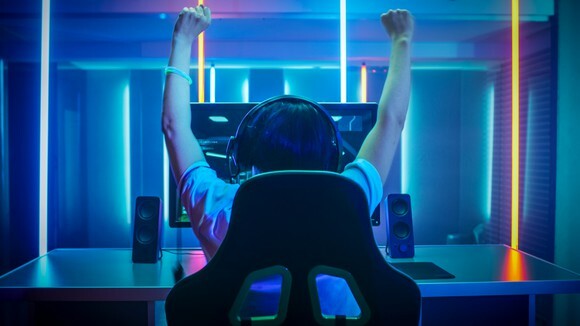 Game streaming services have become extremely valuable assets because many viewers visit these sites not only to watch others play games, but also to watch live esport events. It's entertainment nirvana for gamers. Given that Mixer is integrated into Windows, Microsoft has an opportunity to leverage the dominant market share of Windows to grow the adoption of Mixer as one of the top game streaming services. Across Xbox, cloud gaming, and Mixer, the software giant has an unrivaled reach throughout the gaming industry. The only problem is that these advantages haven't translated to share gains in these markets. However, the company has plenty of cash, and a CEO who understands that the future of gaming is in services, not hardware. As gaming shifts more to a services industry, the software giant should be well positioned to capitalize, and significantly expand, its $10 billion gaming segment. John Mackey, CEO of Whole Foods Market, an Amazon subsidiary, is a member of The Motley Fool's board of directors. Suzanne Frey, an executive at Alphabet, is a member of The Motley Fool's board of directors. Teresa Kersten, an employee of LinkedIn, a Microsoft subsidiary, is a member of The Motley Fool's board of directors. John Ballard owns shares of Amazon. The Motley Fool owns shares of and recommends Alphabet (A shares), Alphabet (C shares), Amazon, and Netflix. The Motley Fool owns shares of Microsoft. The Motley Fool recommends Electronic Arts. The Motley Fool has a disclosure policy.